AMCO’s Hot Aisle solution captures hot exhaust air at the aisle level. 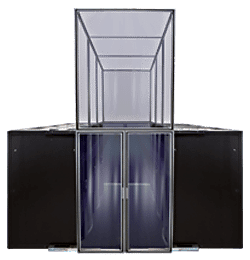 Our hot aisle containment solution has been designed to utilize our proprietary extrusions and castings along with clear polycarbonate panels that extend from the top of our racks to the exhaust plenum. 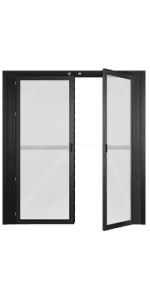 Sliding or Swing Doors provide access to the row while preventing air mixing. Utilizing our proprietary aluminum framing system and clear UL rated PVC panels that shrink at 130 degrees; a ceiling completely encloses the cold aisle. 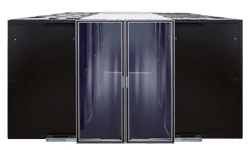 This solution forces all of the cold air to pass through the electronic components in the rack, ensuring that the cold air does not mix with the hot air anywhere else in the data center. 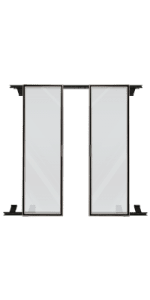 Dual sliding doors close off the ends of the aisles sealing in the hot or cold air. 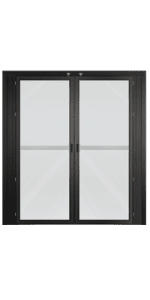 Aluminum doors have clear polycarbonate panel inserts for viewing. Doors slide open with a hold open feature on each side. 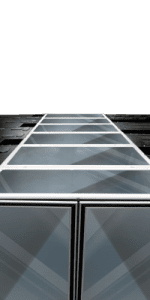 Full slide tracks mount to the top and bottom of racks and provide support for the doors. Brush strips seal the perimeters to minimize airflow leakage and limit air mixing. 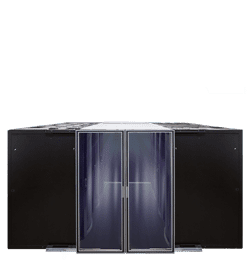 All Containment Doors have a 1-year warranty. 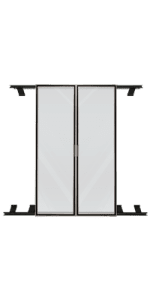 Swing doors are available in single or double door models and close off the ends of the aisles, eliminating the cold and hot air mixing. 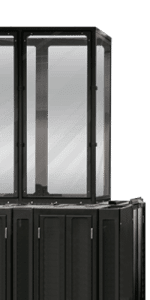 Aluminum door frames have clear polycarbonate panel inserts for viewing. Perimeter of doors are sealed with brush strips to minimize airflow leakage and air mixing. All Containment Accessories have a 1-year warranty. 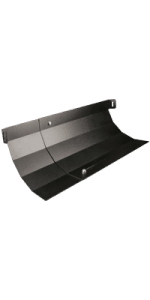 AMCO’s overhead chimney solution for individual racks provides an alternate solution to complete aisle containment. 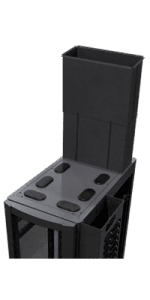 The chimney heights can be adjusted and can be added at the time the racks are installed or at any time they are in a live environment. The retro-fit is fast and affordable, using solid door inserts, an air deflector, and the adjustable chimney.